Dental implants are used to replace missing teeth. They are often the best solution for replacing teeth because they provide long-lasting, natural feeling results. An implant is composed of two parts: One is the fabricated titanium component that takes the place of the missing root, and the second part is the crown that is placed on top of the titanium implant. This restoration is typically tooth colored, it looks and feels like a natural tooth. Dental implants can either be used to replace a single missing tooth or several lost teeth. In addition to replacing teeth, dental implants also help preserve facial structure. Often bone deterioration occurs when teeth are missing. What are the Benefits of Dental Implants Over Dentures or Dental Bridges? Clinical studies indicate that dental implant treatment has a success rate well over 95%. Dental implants are durable and will last many years. With attentive care, they will likely last a lifetime. Removable dentures and bridges often need replacing every seven to ten years. A dental implant can never get a cavity. Dental implants don’t require the alteration of surrounding teeth, while tooth-supported bridges do. More of your natural teeth are left intact, which improves long-term oral health. When teeth are removed or lost, the bone that previously supported them often begins to deteriorate. Dental implants function like natural tooth roots and keep the bone healthy. Bridges and dentures do not preserve bone. According to the American Association of Oral and Maxillofacial Surgeons, 69% of adults ages 35 to 44 have lost at least one permanent tooth to tooth decay, an accident, gum disease, or a failed root canal. 26% of adults will have lost all of their permanent teeth by age 74.. Most adults who are missing one or more teeth are good candidates for dental implants. You will need to have enough bone structure to accommodate the implants. The good news is, even if you don’t have enough bone, Dr. Sage Pollack is trained in advanced procedures like bone grafting, bone densification and bone manipulation. These are ways to improve the quality and quantity of bone that you have. At Dentistry of Colorado, we start with an initial consultation. We will take X-ray and do a complete exam, in order to see if you are a good candidate for dental implants. Depending on the complexity of your case we will also prepare computerized models of your mouth and teeth. We will discuss all of your option with you and prepare a written treatment plan detailing the sequence of treatment and associated costs. Dental implant placement is a relatively simple procedure performed with local anesthesia. However, oral and IV sedation are available to offer maximum patient comfort. In most cases Dr. Sage Pollack can place a dental implant the same-day she removes a tooth. This means only one surgery, less cost and less time without a tooth. Dental implants take three to six months to integrate, integration means your bone fuses to the implant. During this time, temporary tooth replacements can be provided. Once the healing process is complete, we will fabricate a custom crown that will go on top of the implant. This will look and feel just like a real tooth. After care is important. You will want to regularly and thoroughly clean your new implants. Regular visits back to our office are essential so that we can monitor the health of the soft tissue, bone levels and the integrity of the implant. Flossing your implant daily is one of the most important ways to keep it clean and keep bone levels healthy. As an Associate Fellow Implantologist, Dr. Pollack offers the latest in state-of-the-art implant dentistry. She prides herself on performing minimally invasive implant treatments, which decrease discomfort, improve healing time and minimize risks to the patients. Through her extensive training and experience, she is able to treat the most complex cases with a less invasive approach. Whether you have one missing tooth or several that need to be replaced, we have a suite of options to restore your mouth back to a beautiful, natural, healthy smile. If you’re apprehensive about dental surgery, we offer all levels of sedation, ranging from oral conscious sedation to IV Sedation. All of our Dentistry of Colorado offices offer flexible, extended appointment hours so that you do not have to take time off of work. 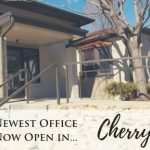 We have seven offices in Colorado to serve our patients including Arvada, Belmar, Boulder, Cherry Creek, Lafayette, Sloan’s Lake and Westminster.